I worked for someone once who wanted granola for breakfast. I kept buying granola, but he didn't like any of them. One day he asked me to make it myself. I did and he loved it! He loved it so much he suggested that I should sell it. "But I have a job", I would reply. Well, one day I didn't have a job and I thought, why not. It already had a bit of a following, so I decided to take the plunge. That was the beginning of Chef Stef's as we know it today. My husband LOVES almond toffee. When we were dating, I used to buy him some every week., that is until I started making it myself. There was no turning back after that! Almond toffee is a favorite with our kids too. When Jake gotbraces, I turned them into cookies so he and his friends could still have some. My husband's Grandma was born in Scotland. He grew up eating shortbread at every holiday and family gathering. 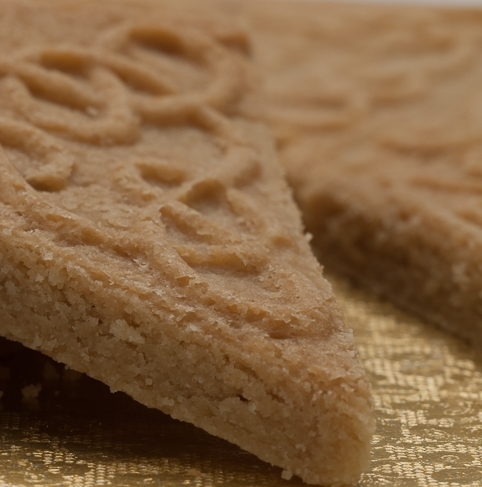 It was a family tradition that when one of the children got married, the shortbread recipe would be given to them as a form of welcoming to the family. When we got married, the recipe was passed down to us. With the family's blessing, I changed the flavors of Grandma Marnon's shortbread, expanding to lemon, ginger, chocolate almond and still more to come. I am also a member of the Juneau Artists Gallery, a cooperative style gallery of Juneau artists and artisans.